If working within a National Government, collective decisions should be taken without dividing on party lines, said State Enterprise Development Deputy Minister Eran Wickremeratne. He was responding to a question raised by a journalist at a press conference at the Sirikotha, the UNP Headquarters yesterday on the stance of the SLFP over the re-appointment of Central Bank Governor Arjuna Mahendran. “We should keep away from party politics as UNP and SLFP and commit ourselves for a collective decision making. It is unfortunate that the statement on the SLFP stance came from a very senior cabinet minister. This is a matter concerning the future of the country and it could not be classified as UNP or SLFP,” he said. The Deputy Minister observed the decision on the re-appointment of Mahendran lies in the hands of the President. He expressed his confidence that the President would make the correct decision after evaluating the performance of Mahendran. “As of the Constitution, the President has to decide concerning the appointment on the advice of the Finance Minister. The President will consider how far Mahendran had been successful in handling the Central Bank and the monetary policy of the country. At the same time, we still do not know whether Mahendran has applied for an extension or not. That is a decision due from Mahendran’s side,” he noted. 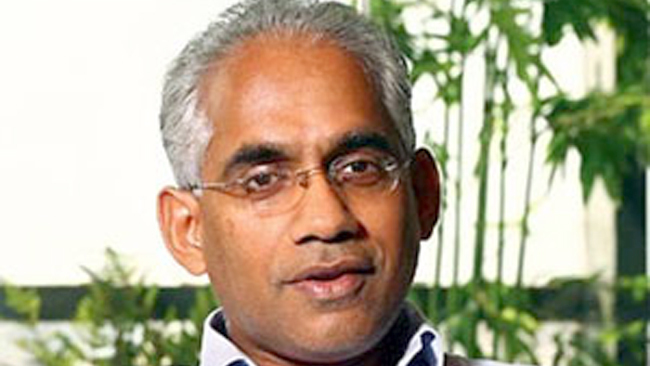 Asked on the allegations of lack of co-operation of Mahendran on COPE investigations on the Treasury Bonds controversy, the Deputy Minister said the COPE Chairman was free to take whatever action if he does not provide the required support. “Now the COPE Chairman is an opposition member and the Government has no interference into its activities. When the COPE submits the report to Parliament, the Government is ready to implement its recommendations and hold further inquiries based on it,” he added. He pointed out the present Government is committed to empower Parliament powers, adding that the concept of Oversight Committees was also introduced for the purpose. “Unlike in the previous system of Consultative Committees, all members including the Chairmen of the Oversight Committees are backbenchers who do not hold ministerial portfolios. The intention of this system is to empower Parliament,” he said.